ZALI (formally Blondie/Yellow Girl) joined her forever home with Heike and Neil in Solana Beach, CA. 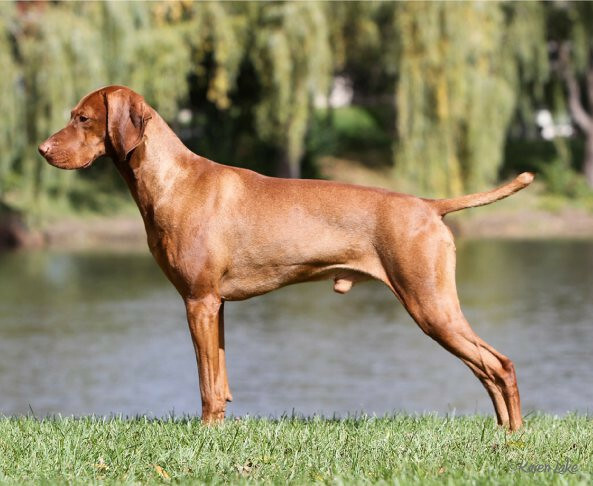 Zali is their first Vizsla, and they plan to first and foremost – love her to pieces – and even compete in show and possibly hunt activities later on. Zali is a sweet as can be girl and perfect for this newly married couple. All Content & Images © 2018 Moonlight Vizslas / Karen Lake|ProPhoto Custom Blog by NetRivet, Inc.